The weather in Livingston has been terrible all week apparently; cold, wet & windy. 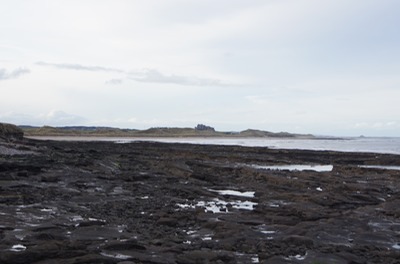 By contrast, we have been staying in Bixie at Seafield Caravan Park in Seahouses, near Bamburgh, Northumberland and enjoyed blustery but generally good, often sunny weather. 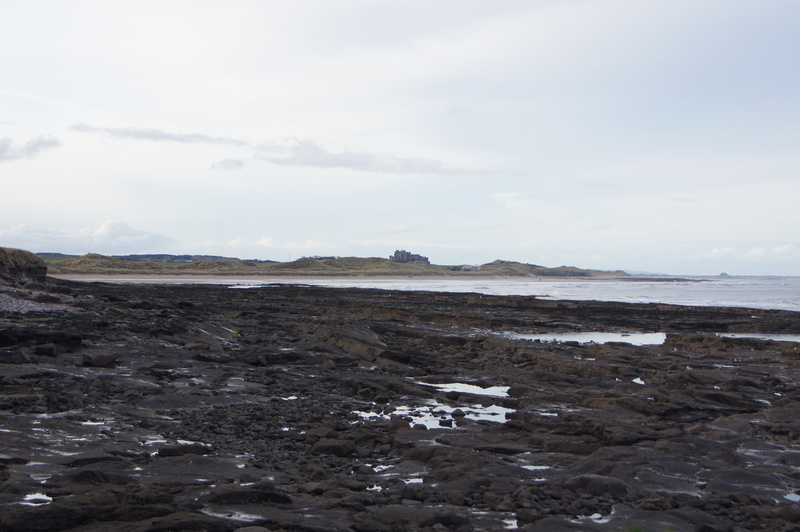 Magan & Maya have been in their element on the beach between Seahouses and Bamburgh with walks everyday. On Saturday the wind was really strong and gusty leaving it difficult sometimes for us to keep upright. Maya lives to chase and retrieve her frisbee; we’ve developed a process now where I rotate clockwise holding it out, ready to throw while Maya runs around at ever increasing speed waiting for it to be launched. Off it goes in the wind and Maya takes off in pursuit. I recover from dizziness! The yorkie returns and we start all over again. 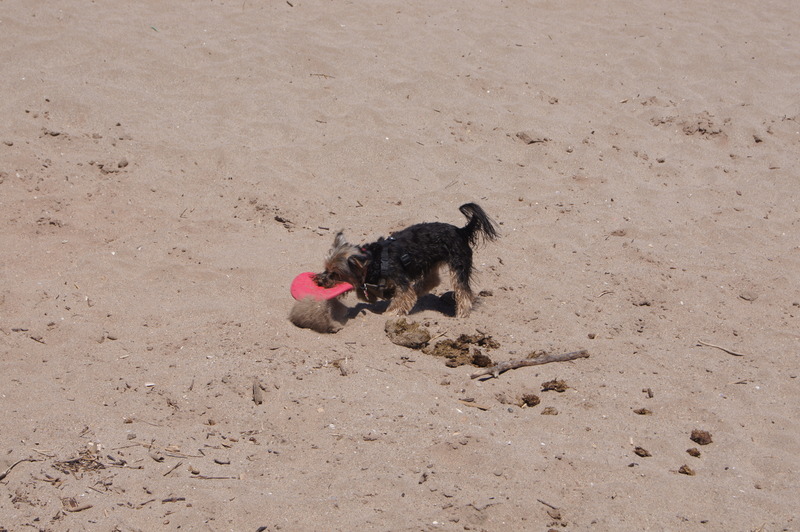 But it’s a great strategy because Maya expends much more energy without too much effort on my part! 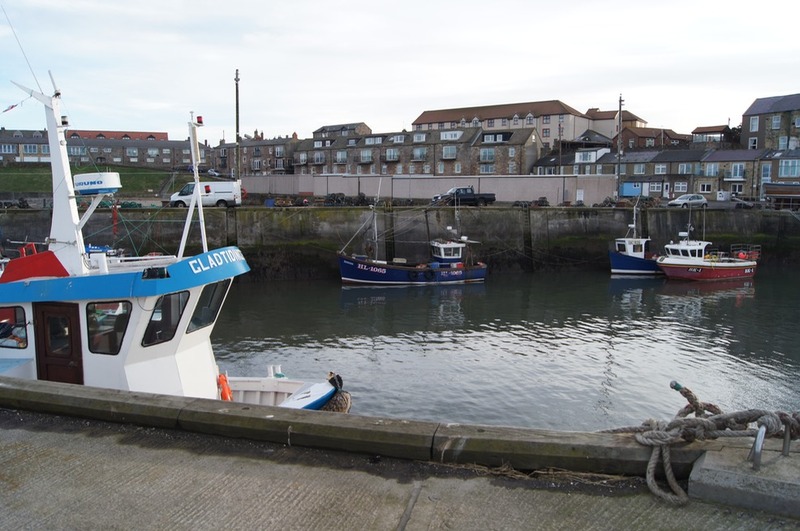 Northumberland in general and Seahouses and the surrounding area in particular is an interesting and enjoyable place to be. The campsite is actually in the town, facing the beach. Its main business, as with all these places, is static caravans but they do provide excellent facilities for tourers; with fully serviced pitches. The toilet block is excellent; well appointed and spotlessly clean. The site also has the Ocean Club, a health and fitness club with spa and massage treatments, which is included in the site fees. We can recommend the area and the campsite wholeheartedly. If ever you get the chance, have a meal in The Mizen Head Hotel restaurant. We celebrated our 48th wedding anniversary with dinner at The Mizen Head last night (25th February). What an experience! The menu had a wealth of choice; every course was mouth-wateringly represented by fish, shellfish, meat and vegetarian options. Everything fresh, beautifully presented and wonderfully cooked. The tastes were out of this world. A difficult choice to make but Margaret and I both had scallops to start. Melt in the mouth! A whole lemon sole meuniere for ML. A Fillet Steak and half lobster (posh surf & turf) for me. They were delicious - yes, I had a taste of Margaret’s! The wine - a Fleurie - was just perfect too. We do not hold to the ‘white for fish, red for meat’ rule. Just have what you fancy at the time, and enjoy! The Creme Brûlee was excellent and an ice-cream flavour I had never come across before - Sea Buckthorn - had a very distinctive and pleasant taste. I must also mention Abbie, the waitress. She was friendly, knowledgeable, happy to explain things and very efficient.